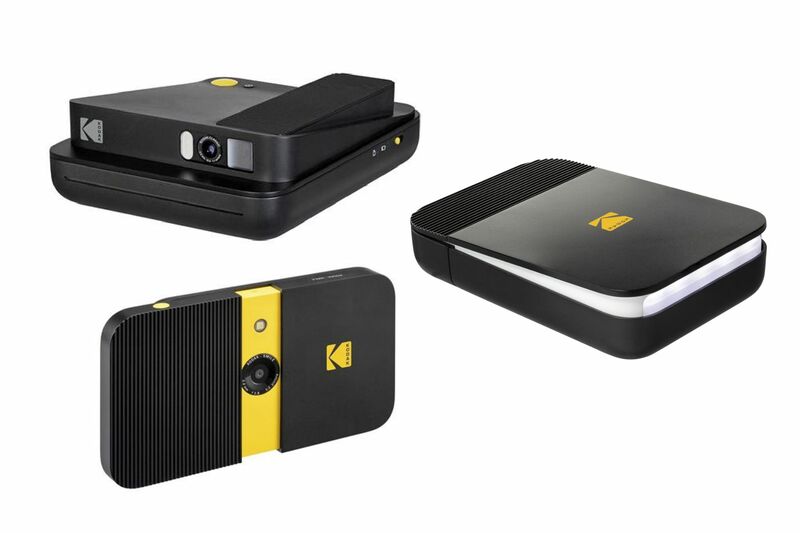 New Jersey-based C+A Global has launched new Kodak-branded products, including an instant camera and two instant printers. Called the Kodak SMILE Instant Print, this product line offers the SMILE Classic Instant Print Digital Camera, SMILE Instant Print Digital Camera, and SMILE Instant Digital Printer. The KODAK SMILE Classic Instant Print Digital Camera features a vintage camera body design coupled with a ZINK instant printer, pop-up viewfinder, automatic strobe flash, microSD card slot, and 10-second timer. Despite its retro appearance, the model has Bluetooth and works with the Kodak Instant Print Companion mobile app. Joining the retro-styled Classic camera is the slimmer, modern SMILE Instant Print Digital Camera, a 10MP digital camera with a ZINK Zero Ink printer, microSD card slot, automatic flash, LCD viewfinder, and 10-second timer. The SMILE line’s new instant digital printer offers instant printing for images captured with a smartphone, the Kodak Instant Print Companion app, and a Bluetooth connection. The digital printer and digital camera will cost $100 each, while the Classic camera will cost $150. Kodak hasn’t yet revealed the products’ launch date.